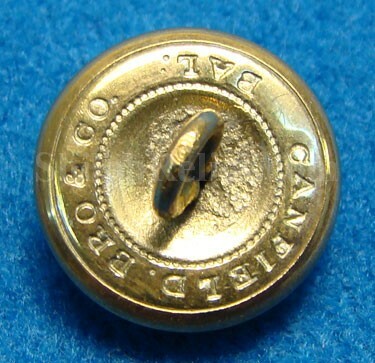 This is a tougher to find style of the cuff size uniform button from the state of New York. This is the version with the eagle in the center and the New York military shield on her chest. Below the eagle it has "EXCELSIOR” written. 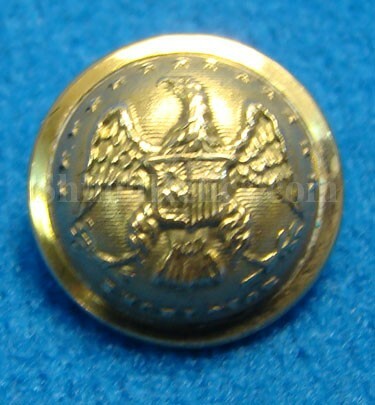 The New York authorities ordered this button produced in 1858 for New York general and staff officers, except engineers and miners and sappers. The original back is intact with a perfect shank. 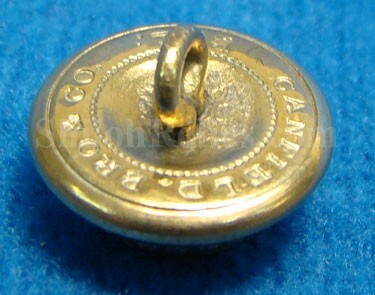 This has the tougher to find maker’s mark of "CANFIELD BRO & CO. / BAL”. Scovill would have made this beautiful button and used the Canfield of Baltimore backmark for some reason. This is the version that is listed as figure NY28 in Albert’s book and NY218as4 in Tice’s button book. When I was collecting New York seals this is one that proved hard to find so don’t miss your chance. 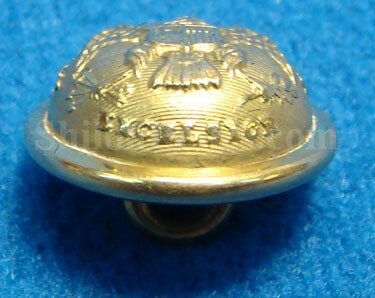 This is a great New York backmark to add to your button collection.